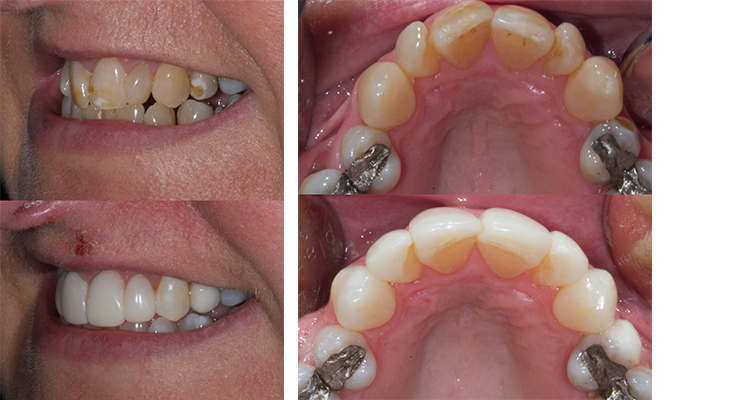 Case 1 – replacement of 9 metal bonded crowns to ceramic crowns. Case 1 – Placement of 7 composite veneers chair side with no drilling to the teeth, and a purely additive technique where no tooth substance was removed. 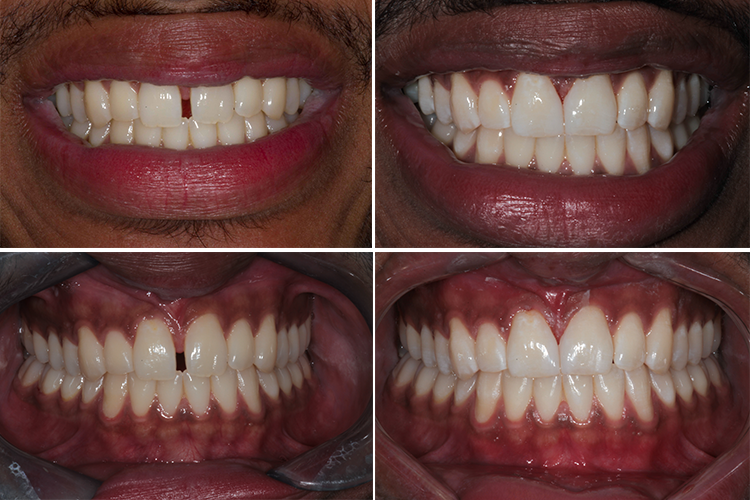 Case 1 – Chipped front teeth repaired by several dentists in the past. The patient was unhappy with colour and could always see the join. The treatment time was three hours and involved using multiple layers and shades of material to build up the teeth artistically by hand. 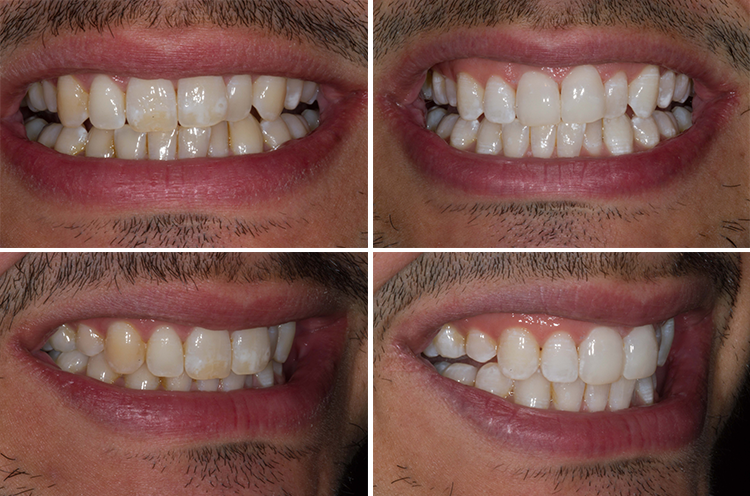 Case 2 – Composite veneers to repair worn and stained teeth. Case 3 – Whitening and composite bonding. Case 4 – Enamel bonding done to reshape teeth and close space with whitening on upper jaw only.  No drilling or injections, purely additive procedure. Case 6 – Whitening and replacement of previous bonding which was unhappy with. 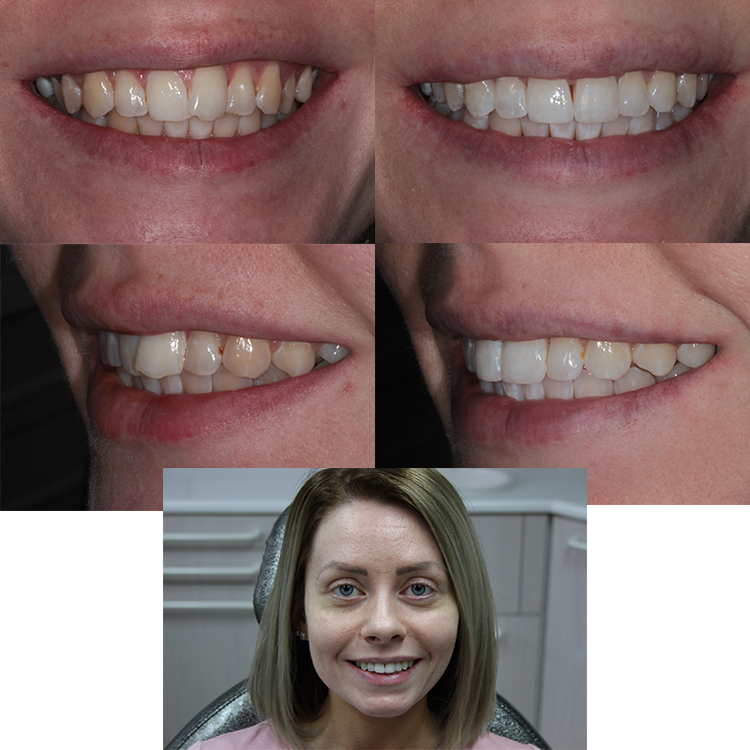 Case 1 – A dental implant, fixed bridge, cantilever bridge, veneers and crowns we used to carry out a smile makeover to completely rehabilitate this patients dentition. 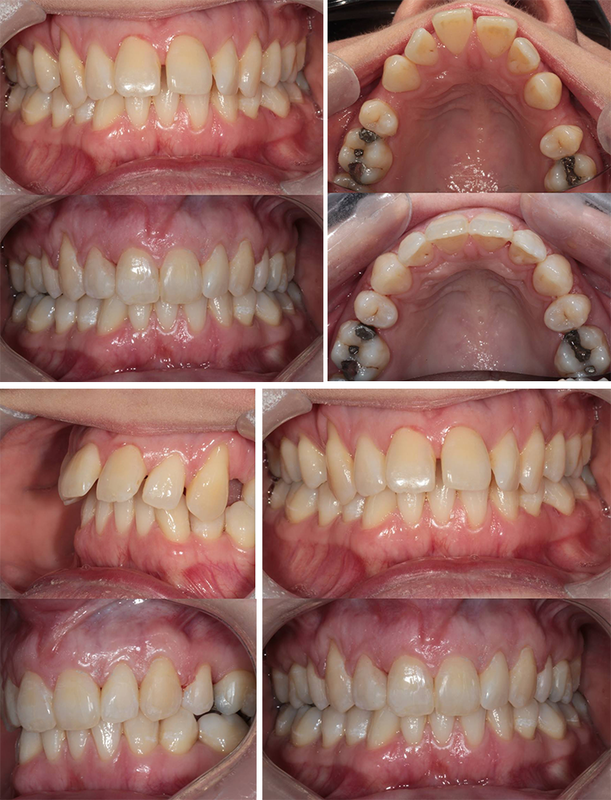 Case 2 – Complex tooth wear case where a combination of orthodontics and composite bonding was carried out to build up all the worn front teeth. Case 3 – This patient suffered trauma to her front teeth from veneers placed by her last dentist. A number of them broke off, and the dentition required comprehensive rehabilitation with implants and crowns. Case 4 – This case shows a failing detention through gum disease. All treatment for gum disease was carried out by Dr Afzal, and a new bridge was fitted. 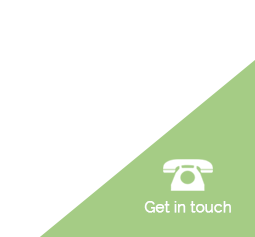 Case 2 – Enlighten tooth whitening – Guaranteed to give you the lightest shades on the scale. Case 2 – This patient was unhappy with her front teeth that were crossed over. A tooth coloured barce corrected this in 8 months. Case 1 – Below is a case treated by Dr Afzal where a tooth fractured to gum level and an implant was placed along with replacement of other crowns. Case 1 – A full set of upper and lower cosmetic dentures with full stippling and gingival contouring to produce lifelike gums. Case 2 – A full set of upper and lower cosmetic dentures with full stippling and gingival contouring to produce lifelike gums. 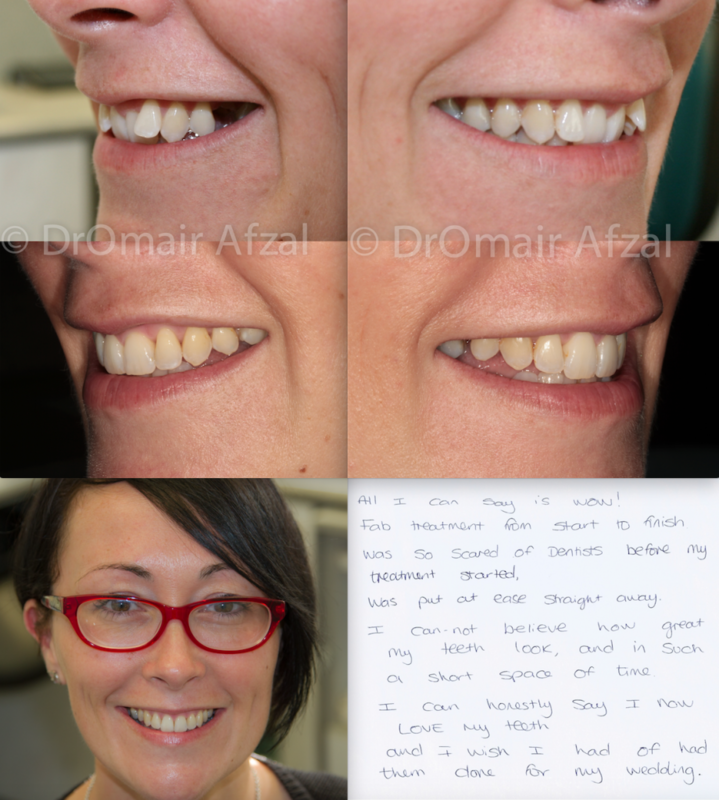 Case 1 – Case done with Damon braces over 18 months , followed but enamel bonding and whitening. Case 1 – Same day crowns and overlays made in the practice using CAD CAM technology, stained and glazed with out onsite lab.